94L. I bought the motor bike when I changed job . I bought it from Motorcycle City in Portsmouth for �50 with 11000 miles on the clock. The bike was superb considering the performance available, and that I rode it in all weathers. The only problems that I had were brake callipers seizing up, and the down-pipes of the exhaust cracking. I replaced the exhaust with a full Micron system, which was the only bit of the bike that was non-standard. I sold the bike for �00 to a bloke from work. By this time the bike had 36,000 miles on the clock, which is a massive amount for a bike - most of them are written off before then. 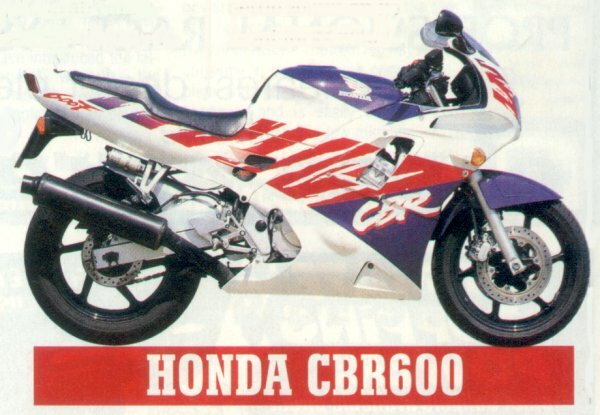 Can't find a photo of the bike at the moment, but here's one absolutely identical from a magazine.